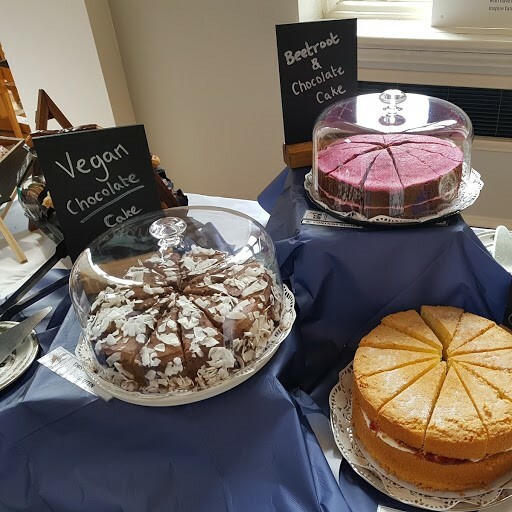 At Newnham you can decide on a day-to-day basis whether to get coffee and cake in our chilled cafe, eat a full home-cooked meal in our Buttery, or to cook for yourself (and maybe your friends!). 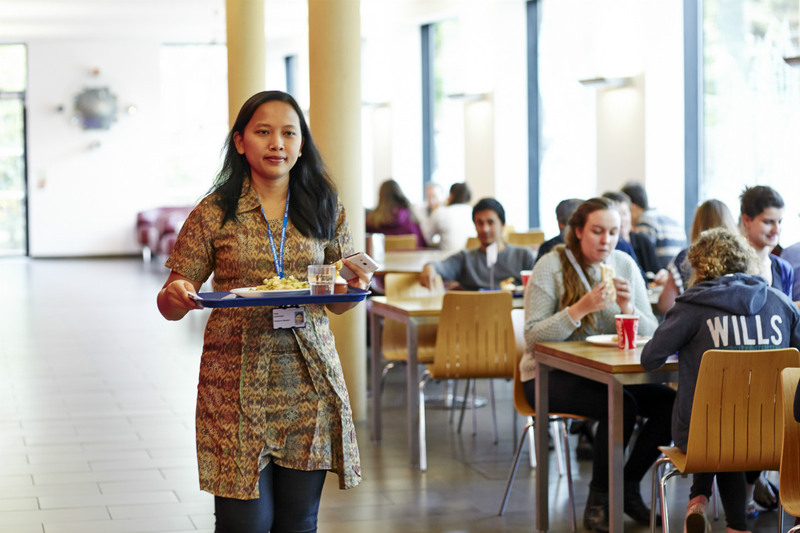 Newnham has a good Buttery (cafeteria), offering a wide variety of hot, cold, vegetarian and vegan meals. 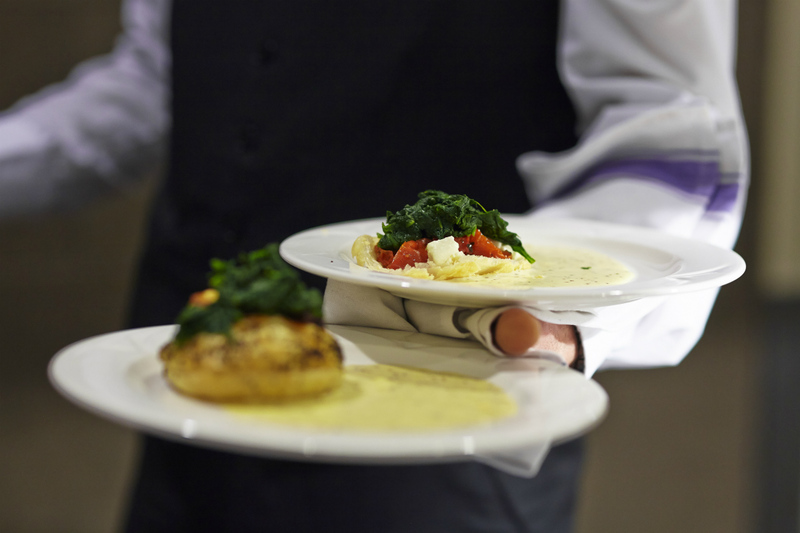 Halal and kosher diets are also catered for in the café-style facility. The meals are cooked on-site by the dedicated catering team. It is open all year round except for short periods of closure at Christmas and Easter and a period during the Long Vacation. 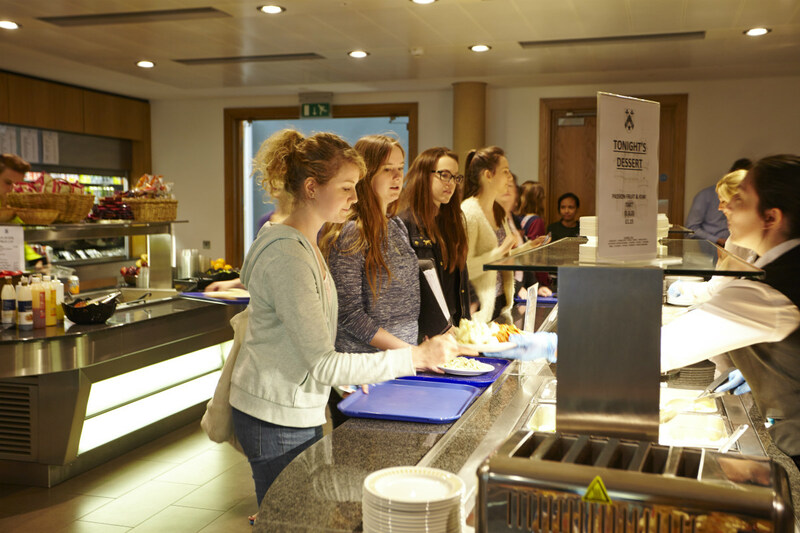 At Newnham you have a choice about where you eat every day, unlike some of the other Colleges. As well as the normal cafeteria set up, the Buttery also has comfy sofas for socialising with your friends and Wi-Fi should you want to browse the internet while you are there. The brand new Iris Café is a chilled space for barista-made coffee, hot and cold breakfast items available from 8.00am, delicious cakes, freshly-made paninis, and much more. It’s a great place to treat yourself once an essay’s been handed in, or to take time to relax with friends. The Iris Café is open Monday to Friday from 8.00am – 6.00pm. 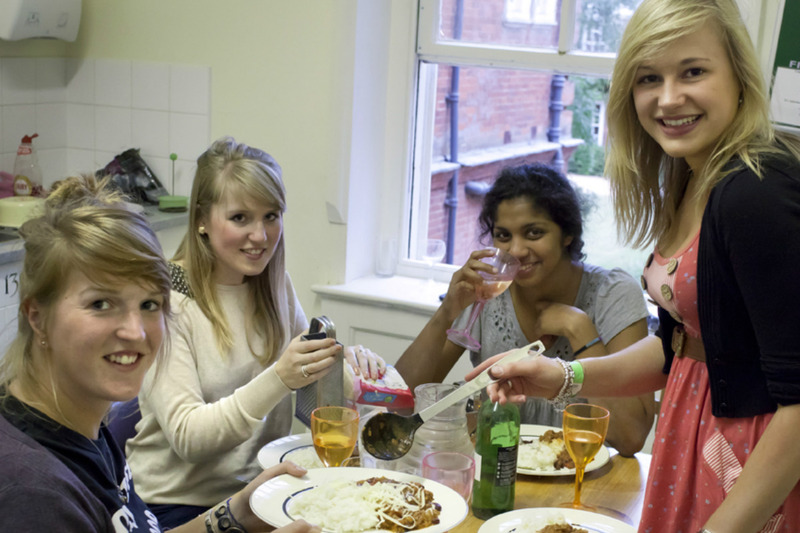 Newnham has a student-run bar, with regular social events that bring members of the College together. Alcoholic and non-alcoholic drinks are available, and the atmosphere is friendly and welcoming. Find out more on the Bar’s own Facebook page. Newnham has some of the best self-catering kitchens at the University and they are cleaned every weekday by our friendly housekeeping team. All kitchens have hobs, a fridge and microwave, most have an oven and some have freezers. Many have tables and chairs so you can entertain guests and nearly all have lockable cupboards to prevent people ‘borrowing’ your emergency stash of chocolate during the exam period. 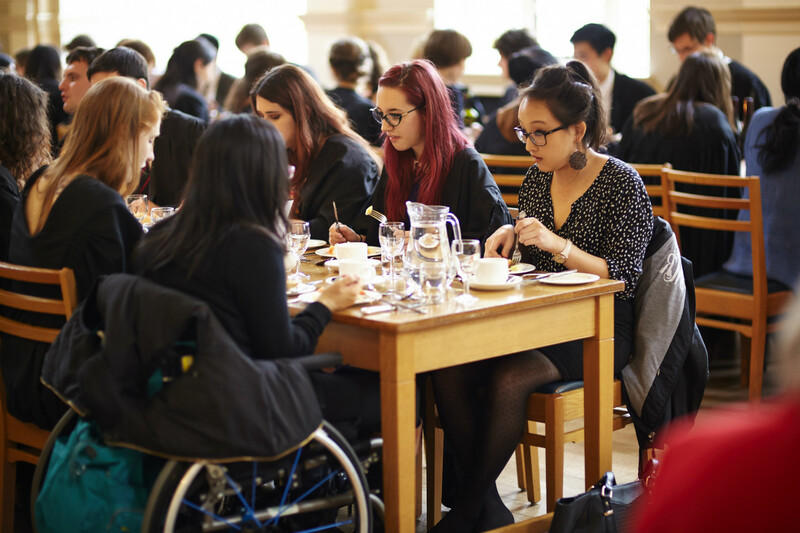 You may choose to cater for yourself or use the College buttery or a mix of the two. 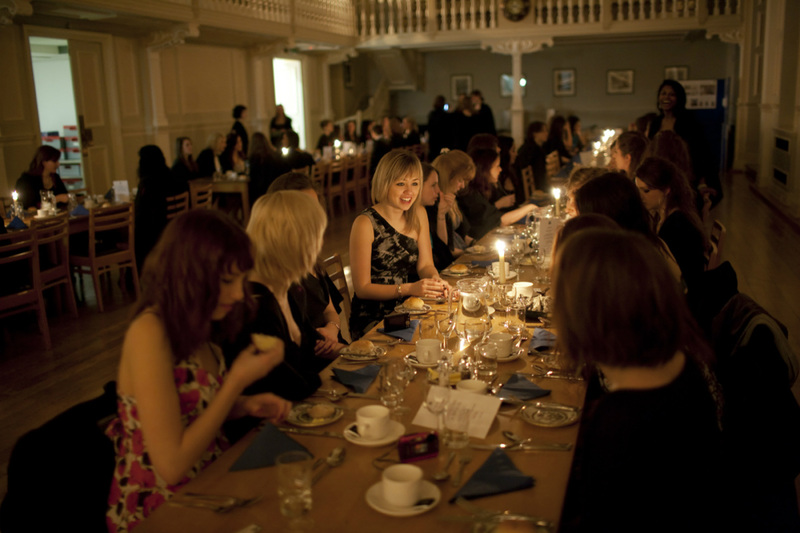 At Cambridge, Formal Hall is usually a three course silver-service meal that students dress up for and wear gowns. 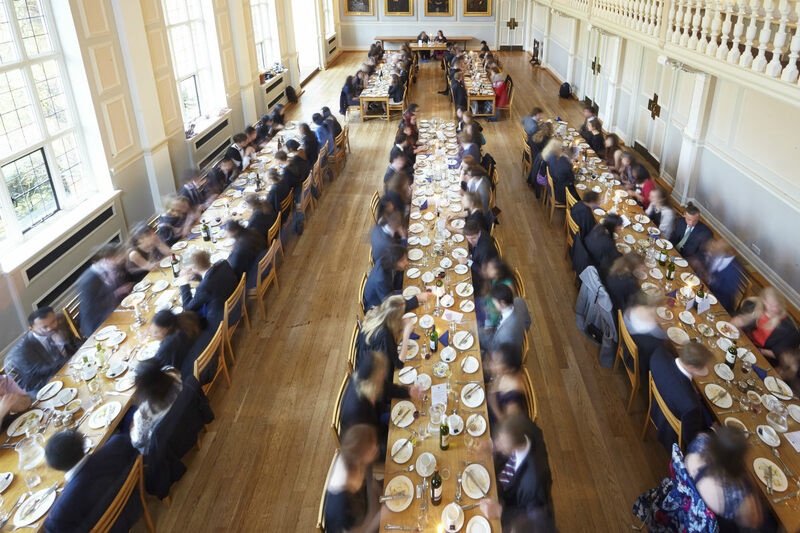 Our Formal Hall takes place around once a week in the stunning College Hall and you are allowed to bring guests with you to enjoy the food and lively atmosphere. Regular Formal Halls: held 1-2 times a week (usually a Wednesday or Thursday but check schedule). 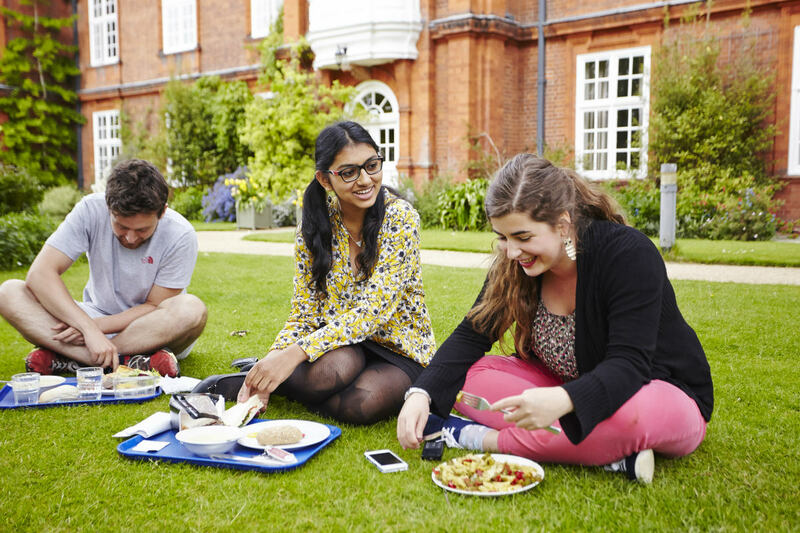 Any member of Newnham may sign up and bring up to two guests 9.95 for Newnham members, £11.35 for guests). The booking form is here.  Subject Formal Halls: held throughout the year and primarily for students in a particular subject group, who will be invited free of charge to sit at High Table. Space permitting, students in other subjects who wish to attend (and bring guests) may sign up in the normal procedure. You will receive an email invitation when your subject group hall is approaching. Graduate Formal Halls: limited to graduate students and their guests. Early sign-up is recommended.